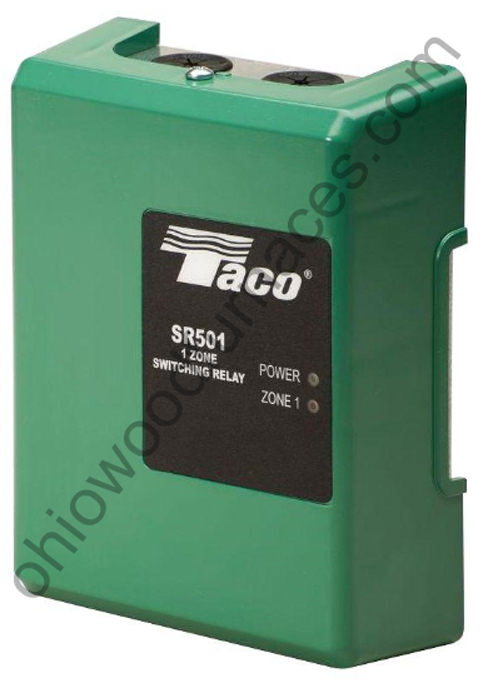 The SR501 single zone switching relay can easily replace any brand made by any manufacturer, and will even fit into the existing metal enclosure without rewiring incoming connections. The SR501 single zone switching relay is UL and CSA listed, uses a standard “ice cube” replaceable relay and is compatible with conventional and programmable thermostats. External indicator lights provide instant diagnostic feedback, making a snap of service calls or new installation start-ups.